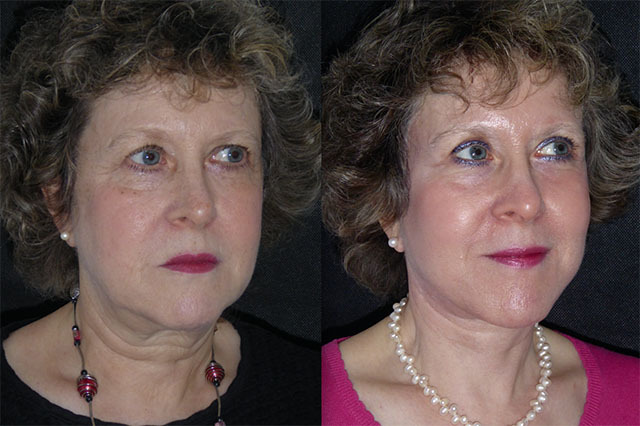 Hanna is a fellow clinician who sought my advice about freshening her appearance. 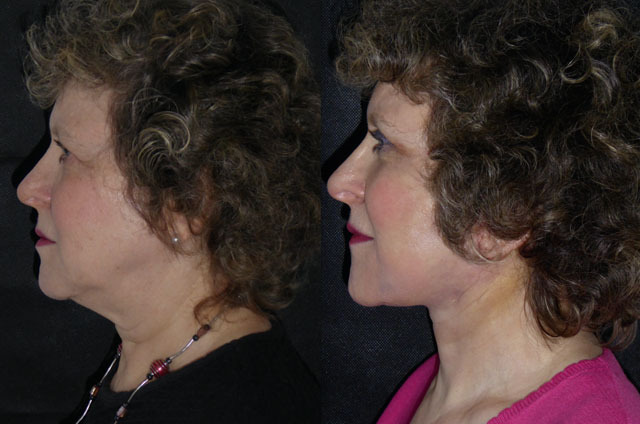 A naturally petite face had changed over the last few years particularly in the lower facial third and neck.Her platysma muscle had split in the midline causing large bands. 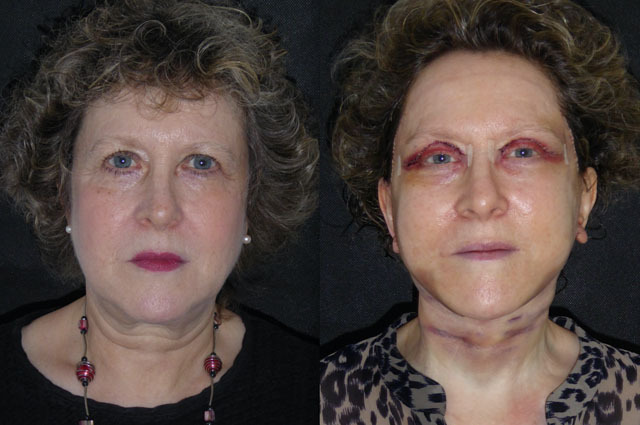 We undertook and Face and neck lift with liposuction and platysmaplasty to rejuvenated her mid and lower face and lateral temporal brow lift and upper blepharoplasty for her upper third. Here is her journey. 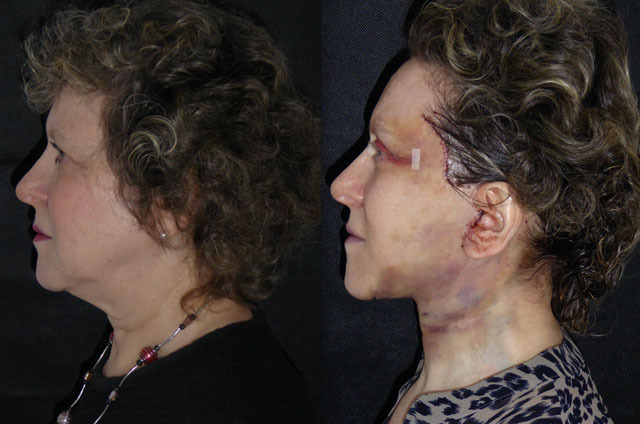 I performed a lot of liposculpture yesterday to get Hanna as defined and petite a face as possible to suit her frame. She will be a bit bruised and have a few days of swelling but already her new facial shape is obvious. 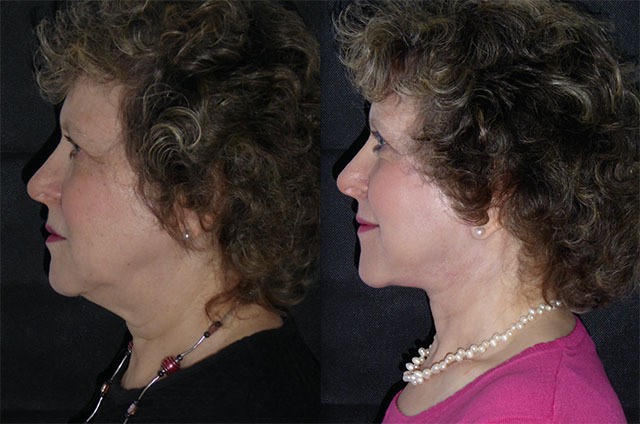 The neck and jaw lines are super defined and the volume now sits in her mid face giving a much more youthful balance.Her upper lids and brow should fit her new face perfectly. I think she will have a lovely result. 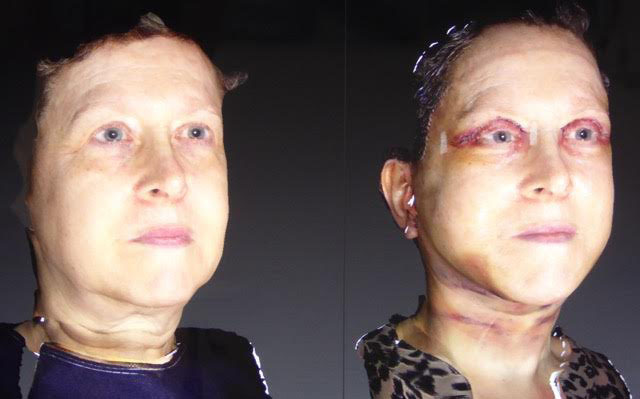 The 3D analysis below gives a really good idea of her new facial proportions. Hanna is back for removal of all her stitches which I did just prior to these photos. 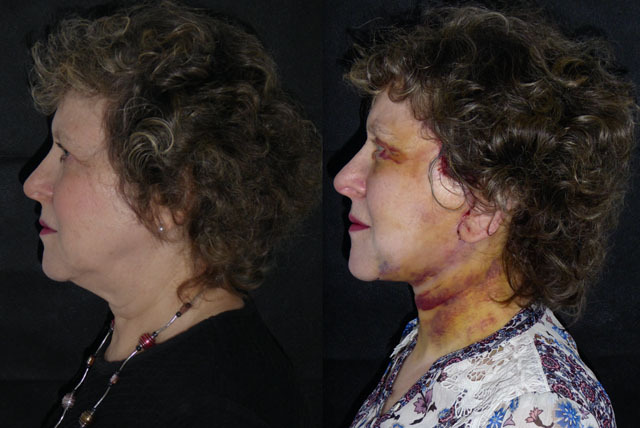 The liposculpture involved in achieving her new definition is why she is bruised, but no more than expected. I have lasered the redder brushing which should speed it along. She looks lovely. That neckline is extraordinary! 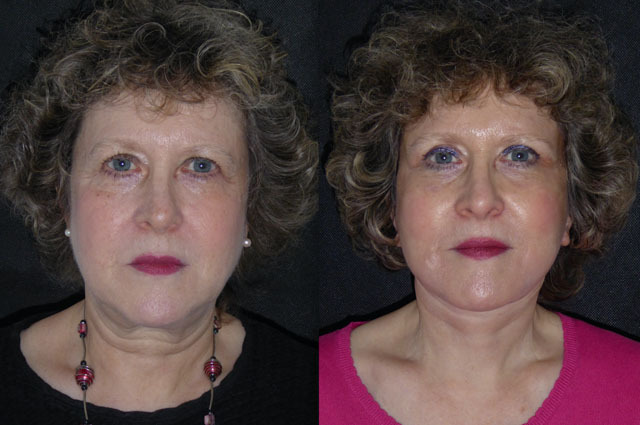 Her brow lift and upper blepharoplasty has really opened her upper face which will really fit her new lifted and defined lower third. 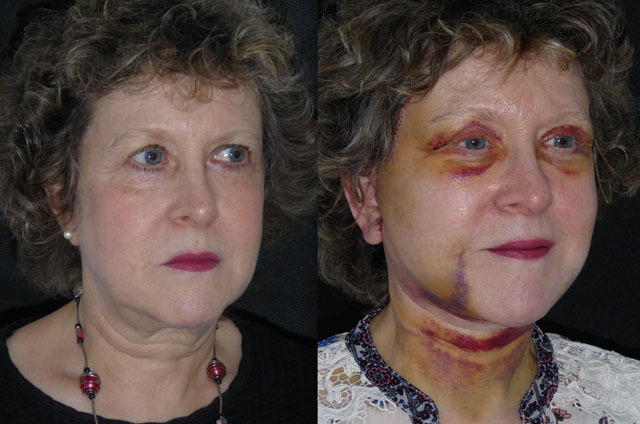 Another week and most of her bruising should be gone ready to face her patients again. Only 3 weeks later, Hanna looks incredible. 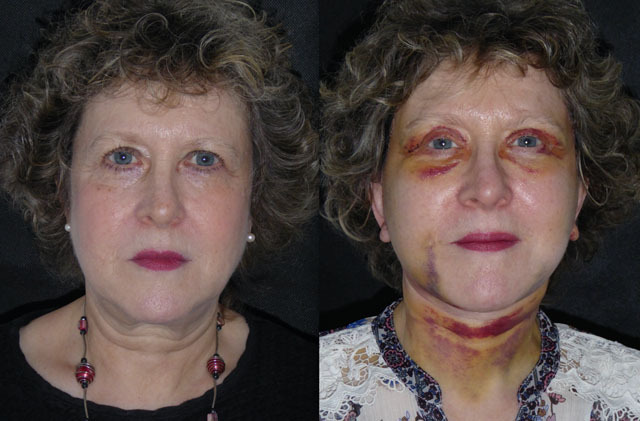 All her bruising has now resolved apart from a small patch in her neck which will fade over the next few days. 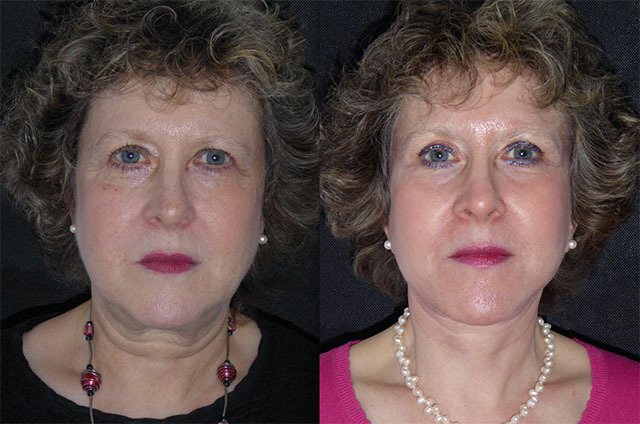 Hanna’s eyes look stunning with make up now she has had a brow lift and upper blepharoplasty. Her neckline on profile few is astonishing! A really lovely result for a really lovely lady. She still has some tightness and hardness in her neck but this will ease up over the next few months. 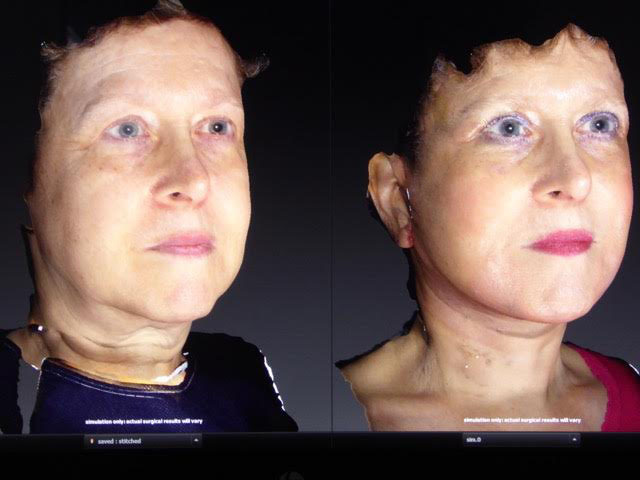 The 3D analysis below shows the volumetric change achieved in her facial contour. I saw lovely Hanna today 3 months after her surgery. She looks wonderful and is absolutely glowing. 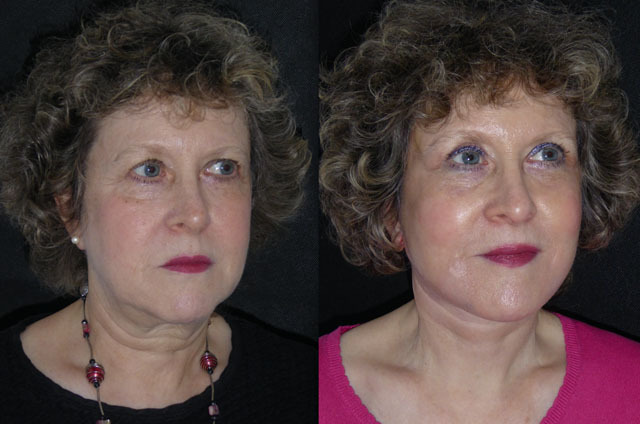 Her upper eyelid surgery and brow lift have beautifully rejuvenated her eyes and her neck and jawlines are sharply defined with contrasting volumisation of her mid face. 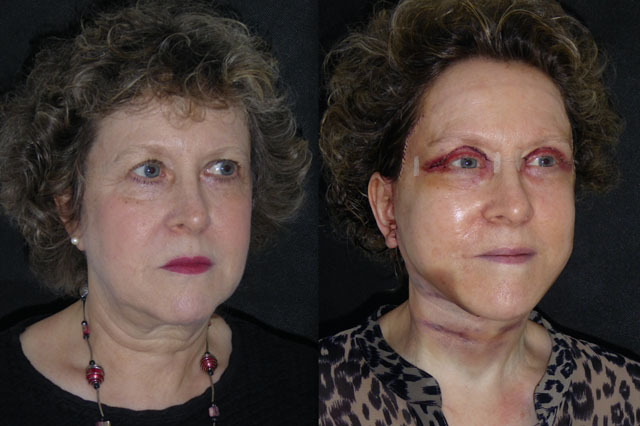 Scars are nearly impossible to see now and her skin has done wonderfully on treatment over the past few weeks. What a lovely result!